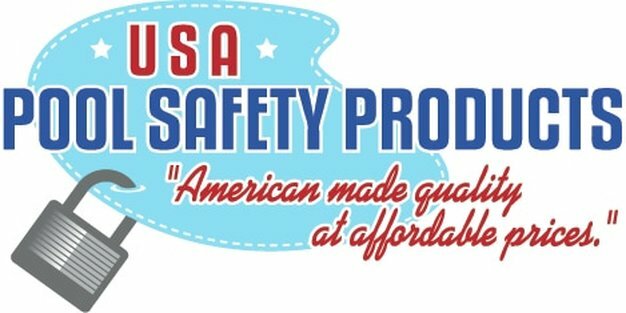 USA Pool Safety Products offers a top quality A.S.T.M certified Safety Net. This pool safety Net offers an unobstructed view of your backyard pool, spa, pond or water features. They are designed to keep your kids out of the water while preserving your space and view in your backyard. This Pool Safety Net is A.S.T.M compliant and are proven to provide your child's safety around pools. It also meets or exceeds all Fl Barrier code requirements. A Pool Safety Net is specifically designed as a barrier to help protect children from swimming pools, spas, ponds and other water features. Safety Nets are stretched over your pool, spa, pond or water feature and are anchored with flush mounted fasteners. A USA Pool Safety Net installer will custom fit the net to the shape of your pool during installation Once the Safety Net is installed and/or properly placed back on by the consumer, you have confidence that your child will be safe and unable to make their way into the water. 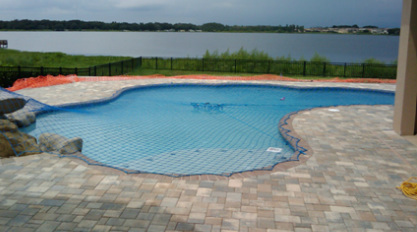 The removal of a Pool Safety Net usually take 5-8 minutes for most average sized pools. To take off the Pool Guard Safety Net, you simply release the tension of the Center pulley system and remove the net anchors from the receivers in the pool deck. To replace the Pool Safety Net, simply reverse the removal process, it usually takes 8-10 minutes to replace or reinstall a net on an average size pools. We recommend you place your Pool Net back on your swimming pool once you're finished swimming and or if adult supervision is not present.